Famous scenes — landscapes, wildlife, buildings — are famous for a reason: they are spectacular, and often easy to access. You have seen these photographs, undoubtedly: a sepia-toned photograph of the Eiffel Tower, perhaps, or a dusty herd of wildebeest in the sun. Glacier Point at sunset, and Mesa Arch at sunrise. These are some of the most incredible sights on the planet, and it is no wonder that photographers flock to them; in many cases, photographers are the very reason that these sights are on the map in the first place. I have nothing against photographers who focus on these beautiful scenes, and I wholeheartedly admire those who photograph them well. Indeed, as photographers, we too often get caught in the idea of taking unique photographs at a famous location, when the most beautiful scene may be the one staring us in the face. And yet, the obvious photo at any given location is not necessarily the most beautiful, unusual, or exciting. Rather, the most popular shot tends to be the easiest spectacular scene to reach. 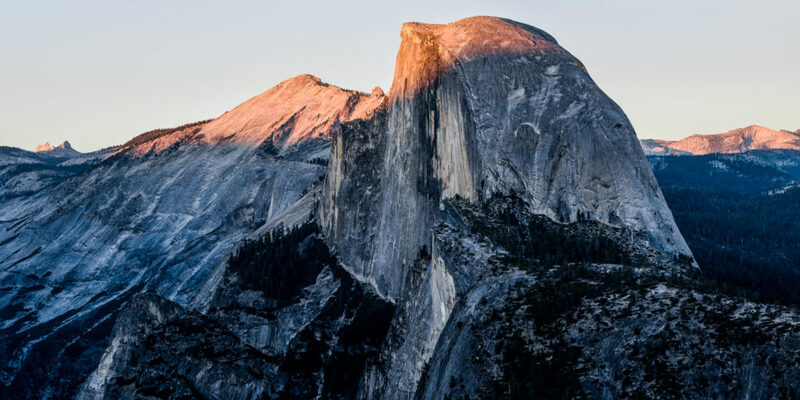 Perhaps the view from El Capitan’s summit is more beautiful than that from Glacier Point — El Capitan, however, requires a full day of hiking, whereas Glacier Point is a fifteen-minute drive. Which would you choose, especially if the two views are mostly the same? If the hike to El Capitan were just a half-hour long, though, it would be far easier to justify. If you are striving for a unique photograph, would you be willing to walk this extra distance? In the real world, in fact, the effort required to take unique photographs is even less than this. Consider Iceland’s Jökulsárlón Lagoon. I have written about it in the past, and it is known to be one of Iceland’s most famous landscapes. However, although it is common to see hundreds of tourists crowding around the entrance to this iceberg-filled lake — a ten-second walk from the parking lot — almost no one ventures beyond the closest views. Granted, this particular landscape is a large lake, and the scenery is not hugely different as you continue to walk. 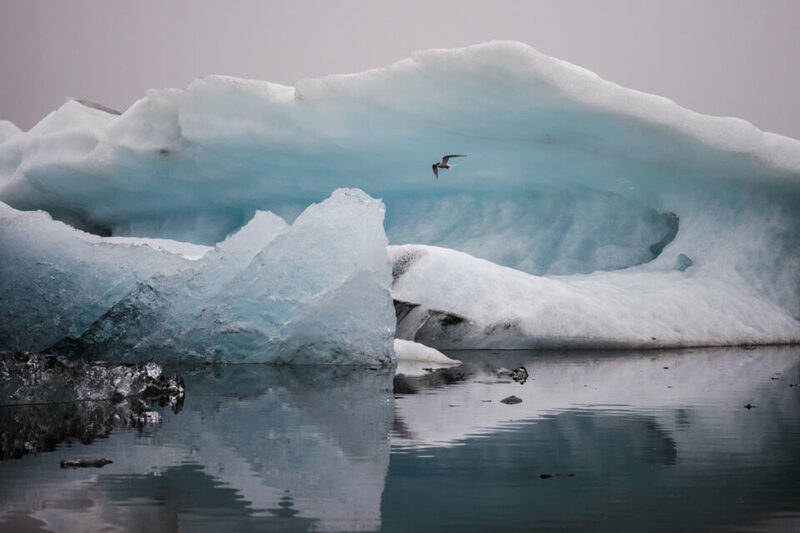 However, at least when I visited, the largest ice blocks were well beyond the main entrance — along with a gathering of Barnacle Geese and Arctic Terns. I walked no more than five minutes beyond the parking lot; I was rewarded with a quieter, more serene landscape, and more room to place my tripod. Jökulsárlón is a wonderful sight, but so much of its beauty depends upon its state as an untouched landscape. By walking past the parking lot, even just a few minutes, I arrived at a far more peaceful scene. I had a clear head and some time to myself, and I was more relaxed while taking photographs. I am certain that the images I took are stronger as a result. In other locations on this same trip, the differences were even more pronounced. 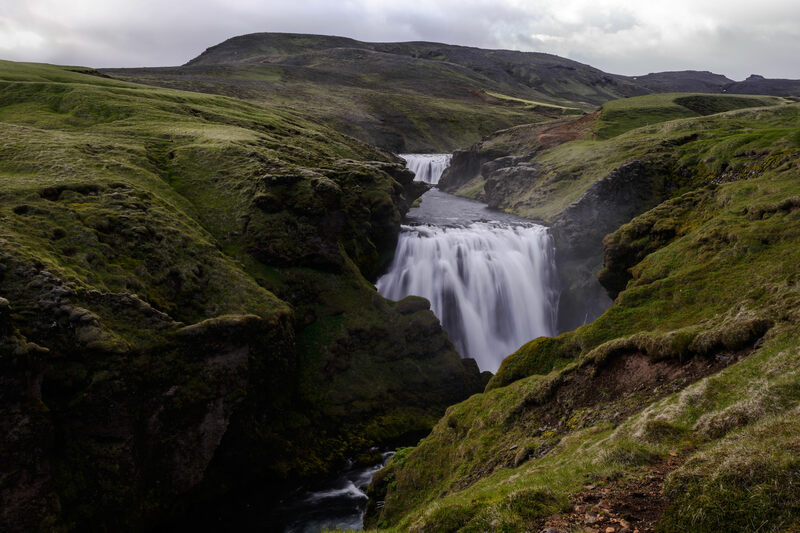 One of Iceland’s most famous waterfalls is Skógafoss, a wide, 60-meter (200-foot) falls along Iceland’s main road. Skógafoss is so popular that it is all but impossible to take a wide-angle photo without any people in the foreground, especially during tourist season. However, if you climb a staircase to the top of the falls, you wind up alongside a massive river. Follow the river for ten minutes, and you will be rewarded with waterfalls that are just as dramatic, yet barely photographed. There is something to be said for photographing the beautiful icon of Skógafoss — and I have seen some magnificent images of this waterfall — but the river above offers just as many photographic opportunities. To get to the most obscure landscapes, you have to go where there is nothing to guide you. I have found that these scenes are no less beautiful than their famous counterparts, but their locations render them essentially unknown. One of the best moments of my life was hiking to the bottom of a canyon in Iceland, simply because I had seen the mist from a waterfall way in the distance. This hike took an entire day, and every step felt like it was through an unseen world. There certainly was no trail to guide me — just the sight of some mist from a distant falls. When I arrived, the scene was impossibly beautiful; the waterfall formed a horseshoe shape, and it spanned the length of the river. I searched online after the hike, but to no avail — according to the internet, this waterfall does not even exist. Unfortunately, the light that day left a lot to be desired, and I must admit that I have no photos to do the landscape justice. That isn’t the point, though; the thrill of discovering something new is reward enough by itself. To find such a landscape, it is all but necessary to be in a wild location. 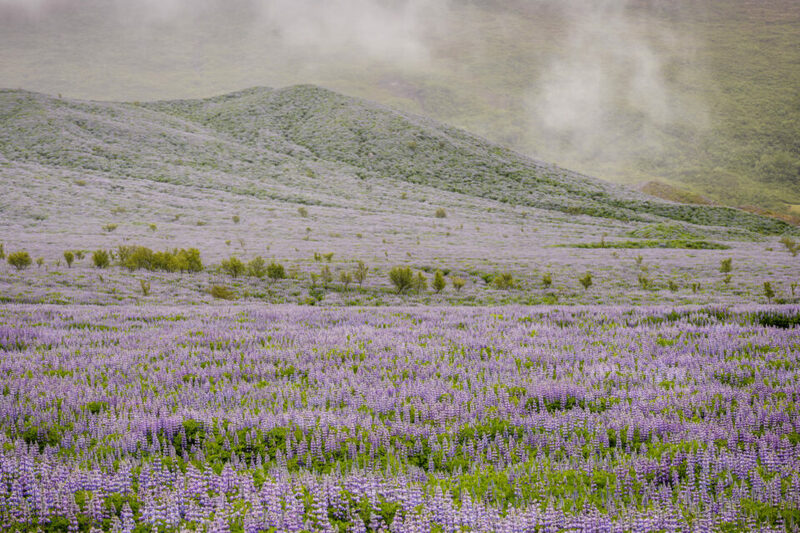 This is why I am discussing Iceland to such a degree in this article — it is an amazing landscape that is thoroughly unexplored, outside of the scenes directly along the main road. If you are in a well-mapped or oft-photographed area, it is hard to forge a new path for yourself and return with something unique. This is not restricted to landscapes as exotic as Iceland; a city can qualify as a wild location if you find a hidden spot, or you could stumble upon an unseen eagle’s nest while hiking. Even a uniquely dramatic tree in the backwoods may be something that no one else has seen. The search for the unknown is applicable everywhere, and it is well worth the effort. You must also know that the pain of something not done is a terrible feeling for landscape photographers. In Iceland, I saw one mystifying waterfall between two distant hills; I knew I had to see it up close. Time was short, though, and the falls was at least an hour away. I made the decision to skip this landscape. Although I know that it is on my list for the future, that one haunts me. Not even for the photograph — quite simply, I saw something wonderful that was not on any map, and I didn’t go explore. So, walk a few minutes past the most famous scenes, and then walk even farther. It is one thing to take a beautiful photo at a famous location, but it is something quite different to discover a location for yourself. Famous scenes have lost their power and beauty in photographs because they show up so often on social media; the unique is no longer unique. A search online for “Mesa Arch” returns nearly two million results. Almost everyone has seen a photograph of this beautiful landscape at some point; it has lost much of its photographic shock value. On the flip side, if you show something that you discovered, it does not need to be an impossible scene to have a sort of awe attached; a balanced and colorful image of a never-before-seen landscape can have as much power as a well-made shot of Yosemite Valley, even if the landscape you discovered is not as inherently dramatic. At some landscapes, it simply is not possible to find a unique vantage point. I already mentioned Glacier Point briefly, and I believe that it is a landscape well worth seeing. Glacier Point is famous for a reason — this overlook gives you a wonderful view of Yosemite Valley, placing you face-to-face with Half Dome. Because it is a tiny vantage point, it is not possible to move around to get a different perspective. Yet, it still is possible to take unique photographs from this beautiful overlook. When I went to Glacier Point, I took the photo below. This image was taken in the evening, right as the sun glinted off the top of Half Dome. It certainly is not entirely unique — and I have seen better images from this same overlook — but it is different enough that I believe that it maintains some of my personal vision. Simply search for “Glacier Point” online, and you will find few telephoto panoramas at sunset. Do not force yourself to take a unique photo; simply be open to the possibility. It is easy to tell when a photo looks forced, and a classically beautiful shot of a scene is better than a uniquely jumbled mess. Keep in mind, too, that it certainly is possible to take the “obvious shot” in a unique way. Try to find a unique foreground — an unusual element to ground the composition. I still remember one landscape photo that I saw of Patagonia: the famous Mount Fitz Roy was reflected in a lake that had a shoreline with the exact same shape as the peaks. Although I have seen dozens of photos of Patagonia, this particular image stood out because of its perfectly-constructed foreground. A scene’s “typical” tourist shot often is taken under the worst conditions: harsh lighting, during the middle of summer. If you take a photograph of a landscape in mid-autumn, or perhaps during an icy winter, your photo’s colors will be far more exciting than usual. You can combine these effects with unusual post-processing or camera settings; for example, a long exposure or an unusually wide aperture. You can even consider converting some images to black and white, depending upon the scene — do not feel restricted to take your photos in the “typical” way. Hidden locations still can be found in today’s world, even if they are vastly beyond the beaten path. The whole world has not yet been mapped; if you are the first to find an archway in Utah’s desert, take care of it. If someone asks how to reach your landscape, it is not always rude to refuse — the next “hidden wonder” to go viral through photography may well be destroyed by vandals before anyone can intervene on its behalf. This is even more true if you find wildlife hideouts; a hoard of well-intentioned photographers can be enough to scare an animal away from its home. If a unique photograph comes at the expense of your subject’s well-being, it is never worth the effort. Other times, the search for unique images may hinder other photographers’ creative efforts. While I was at Jökulsárlón, one photographer kept running in front of everyone else who was trying to photograph the landscape. He was trying to sabotage everyone else’s view, as if he did not want anyone to take pictures of the same icebergs that he had photographed. I have heard stories that are far worse, too — for example, tourists who stand directly beneath Delicate Arch at sunrise, ruining the shot for a crowd of photographers. The tourist may be after a unique photo, but this surely is not worth disturbing the beauty of a scene for others. Being unique often means taking pictures from unexpected locations; make sure that these locations aren’t hurting the creative efforts of other people. Still, though, the search for the unique is often a worthy pursuit. It is easy to photograph some of the most grand landscapes on the planet — in today’s world more than ever — but new sights are still waiting to be seen. Part of the joy of photography is the innate adventure involved, if you so choose. Even at a time of social media and photographic overflow, you have the opportunity to do something new. If you’re trying to capture unique landscape photos, a lot rests on the creative side of photography. Unfortunately, a huge number of photographers — including many who are very, very talented — still struggle to do so, in part because there are so few resources available to help teach photographers about the creative side of things. There are no perfect answers here, but, if this subject strikes your interest, there is still a good way to dive much deeper into the world of creative photography. Specifically, consider looking into our eBook, “Creative Landscape Photography: Light, Vision, and Composition” if you’re trying to take your skills as far as possible. It’s true, frankly, that eBooks in general don’t have a good reputation, but I hope that you’ll give this one a chance and see what it has to offer. Every bit of information it contains is designed to be as accurate and tangible as possible, in a field where accurate and tangible tips can be remarkably difficult to find. I really wonder what’s causing the web site to resize like seen in this shot when the page has loaded – this is really annoying. Rest assured, we are working on the problem. Thank you for the screenshot. Really enjoyed this article. Nice thoughts and a welcome step aside from the usual technical topics over here (which are very welcome, too, though). Another nice article. Thanks for writing it. I totally agree with the Respect part of it. I have taken pictures of bears in Wyoming, and I never tell anyone where I have taken the pictures for the safety of the bears. Excellent article! One thing that I’d add is that there are new unexplored areas everywhere, even in your own house/living space. Just because it’s regularly seen doesn’t mean it’s explored. Traveling is defiantly amazing but I’ve found i take the best pictures areas that I’m familiar with. I love getting out and exploring new areas. The benefit to living in the most forgotten about state is that those areas are almost every where. I wish it were easier to find public land with access. I don’t mean trails just public land. I don’t like getting chased out of an area i thought i could go by a rancher with a shotgun. I try and use county GIS web applications but not every county has them. Good article. I once read of a photographer who admired Ansel Adams’ work to the point that he went to the location where one of Adams’ iconic Yosemite shots was taken. Of course, a number of years had passed, and trees had grown to block the exact view Adams had, so the photographer cut down the trees to recreate the view. That has stuck with me through the years, and it’s why I avoid highly publicised locations. I want to create my own photos, not mimic those of another photographer; that’s not art, it’s plagiarism. Excellent article. Walk, then walk some more…and keep walking… you will find what others won’t. thanks! Very well written. The article is filled with inspiration for the reader and also appeals to the conscience! Interesting article. Can I just ask why do you cut off so much sky in almost all of your pictures? Walk … walk … and walk some more. And if what’s in front of you looks good, turn around and look the other way. Great article. Love your advice about walk, walk, then walk some more. My brother in law, who is a professional photographer says the most important piece of photo gear is a good pair of hiking shoes! I have always pondered about who reacts most strongly to my landscape images, and it seems the images that elicit deep responses are those images taken from places quite unique from the viewer’s location. And I think that is one of the reasons Nat Geo is so popular. Indeed, at a photo seminar I attended recently where adventure photographer, Michael Clark was speaking he noted that in order to make adventure photographs you first have to go on an adventure. And it is this sense of adventure I find so compelling in both your photographs and your stories. Thanks for inspiring us to get out and discover the unknown.